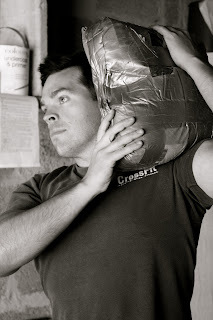 Ground to overhead with a heavy sandbag for 50 repetitions. Aim for a 45-75 kg bag (male) or 20-40 kg bag (female). Record your time. If you did this workout on the 12th, try to beat your previous time.